Hope is Life Foundation’s basic philosophy is to identify projects that are sustainable. When we want to build a school, we look for ways in which the community can support the school’s costs in the long run. Therefore, when the staff of the Borni Memorial English School in Pangantabi village asked for financial assistance, we looked for ways that the community could generate these funds. 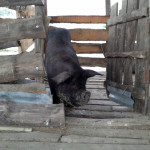 We found a solution in a pig farm. 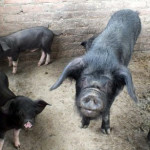 The pig-rearing industry generates a high margin of profit in India, so we suggested that the funds generated from the pig farm support the functioning of the school. 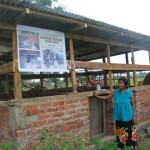 In 2012, Hope is Life donated enough funds to build a structure for the pigs. It is now a community development program in which parents and members of the village can help bring left over food to feed the pigs. Not only does this bring the community together, but it also increases the chance of the growth of the pig farm. 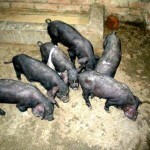 The profits from the pig farm are continuing to successfully support the school’s efforts. 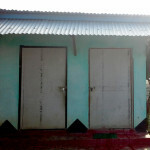 The toilets that were built in November are functioning well. Most importantly, the school is flourishing under the watchful eye of director Joseph Nishimbani. We are so happy to hear of their progress and wish all the students a great semester! Pangantabi village is located in the Thoubol district, about 80 kms from Imphal city. Approximately 6,000 people live in the village, and most are farmers. Family income depends on the annual harvest. Few of them run small business, but most women do craft work and men work in the farm. The farmers on average live on less than US $1 a day. Imphal is located in the extreme east of India, bordering Myanmar. It is a quiet, crowded but uneventful city. We had to register ourselves at the airport – all foreigners need to get special registration at the airport. There was a good reason for this. In October 2008, Imphal was struck by a large terror attack carried out by Manipuri insurgents fighting for to regain sovereignty from India. This city has a history of ethnic rivalries. It is also the home of the Meitei tribe and is a largely Hindu region, but with a very specific culture of its own. It is nestled deep within a lush green corner of North East India. It is indeed an Indian state of exquisite natural beauty and splendors. It is no wonder why the former Prime Minister of India, late Pandit Jawaharlal Nehru paid a fitting tribute by describing it as “Jewel of India”. Hope is Life Foundation, in collaboration with the locally registered SHIG Foundation, is assisting in the welfare of several orphan children (some infected with HIV/AIDS) to attend school at the Borni School. 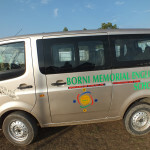 The Foundation is working directly with the SHIGF trustee and the staff of Borni Memorial English School to sponsor several orphans to help them lead a healthy life and continue with their education. 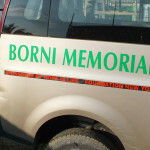 Currently, there are about 140 children from ages three to 12 attending the Borni Memorial English School. The school is unable to provide meals to the children as there is no financial support from the government. Some students bring food from home or eat before coming to school, while others aren’t able. 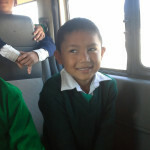 The school wants to be able to provide meals, especially for students who are orphans. Additionally, the Borni School suffers from a lack of teachers and educational materials. As a result, children are beginning to drop out of school as early as second grade. The high cost of education, poverty and the long trek from the remote villages to the school also are contributing factors to the decreased attendance rate. 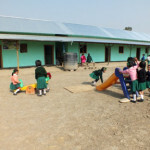 Students in the Borni Memorial School in Manipur, India, now have access to a comfortable bathroom. This may seem trivial, but many girls in Indian villages do not attend school simply because there are no separate toilet facilities for them. It is a widespread, yet unacknowledged, problem that girls in Asia and Africa face, and thus prefer to stay home on school days when menstruating. Now these girls will go to school every day. Thank you, friends, for making this happen! To stay in school is expensive for these children. They are required to buy school uniforms, school shoes and text books which most parents are unable to afford. 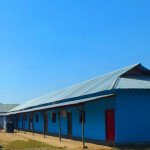 One of the members in the community donated land to build a new school structure. In 2013, Hope is Life donated enough funds to complete the construction, using bamboo, wood and mud—making it an eco-friendly structure. We were also able to provide desks, chairs and a few computers for students—before, they sat on the dirt ground during classes. Lastly, Hope is Life provided better toilet facilities for the children. This may seem trivial, but many girls in Indian villages do not attend school simply because there are no separate toilet facilities for them. It is a widespread, yet unacknowledged, problem that girls in Asia and Africa face, and thus prefer to stay home on school days when menstruating. Now, this is not a problem with adequate facilities for girls. 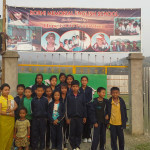 With your generous and kind support, Hope is Life was recently able to purchase a van for the Borni English School in Manipur, India. With this transportation, students can now attend school throughout the monsoon season, since they cannot walk the long distance from their homes to the school in the seasonal, pouring rain. Our goal is to build a small community around this school whose members are united by their shared beliefs, characterized by their high ideals, proficient in managing their affairs and tending to their needs, and one day also engaged in several humanitarian projects. The SCHOOL is also a Gathering place for the entire community during weekends and holidays.. 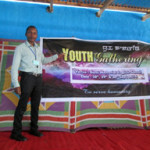 Youth conferences, devotional gatherings for community, children classes and junior youth empowerment program take pace in the school buildings.